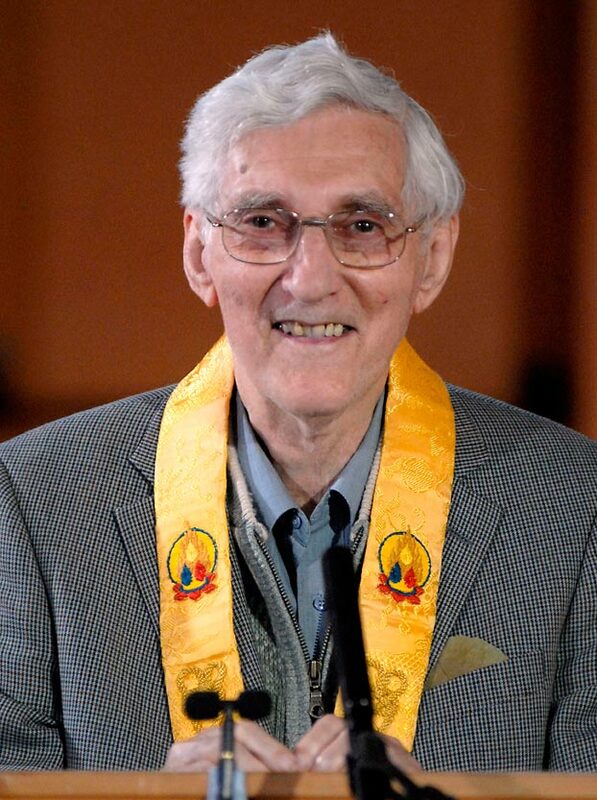 This is to let you know, with sadness, of the death of Urgyen Sangharakshita founder of the Triratna Buddhist Community (of which the Hornchurch Buddhist Group is a part). He died today, 30th October 2018, at approximately 10 am in Hereford Hospital. He had been diagnosed with pneumonia and sepsis. Please send him your metta. For those who wish to attend, there are events happening at Buddhist Centres (see websites for details). You may also wish to chant mantras for him. Shakyamuni, Green Tara, Manjushri, Amitabha and Padmasambhava are mantras he himself suggested to be chanted at this time. For more information visit thebuddhistcentre.com. Dayabhadra is leading a mantra and meditation morning at the London Buddhist Centre. I’ve always enjoyed these events. If you want something different that would complement what we do on a Monday night I’d highly recommend this. This Monday (16/07/2018), will feature the Japanese Buddhist hero Kukai. Talking of Buddhist heroes, our very own Saddhabhaya will be rejoining us soon. He will introduce us to Ananda a very important figure in the history and literature of Buddhism. Well Done! We have raised £676 to aid the work of the of The India Dhamma Trust. Dhammvijaya (our recent visitor) has sent us a colourful card to express the thanks of the trust. The skills auction has also lead to many social interactions, useful services and fun. What shall we do for Buddhist Action Month next year? as promised (or some might think threatened) here is the results of my following Maitreyabandhu’s ‘five things I’ve appreciated today‘ in my J&TG notebook. Your lists may be quite different. The balance will likely be different: according to habits, lifestyle and temperament. I may have missed, through mindfulness or lack of appreciation, whole areas of experience – please let me know if you feel this is the case. Mostly I hope it has stimulated you to keep trying (or start trying) this simple exercise. If nothing else, you go to sleep with a better appreciation of life, and of course this outlook may well perfume your dreams! this is a reminder of Friday for those who were there and a glimpse of what happened if you couldn’t be there. On Friday 21st October 2016 three individuals took the significant step of becoming ‘Mitras‘ – friends. During a puja, offerings of a candle, flower and incense were made by each person. If you want to know more about becoming a Mitra please ask the Order Members (Nandaketu or Saddhabhaya) – I’d suggest asking the Mitras too. The evening had a great atmosphere – there was a sense of significance as well as relaxed sociable enjoyment. We were very pleased to host guests from the LBC and Eric’s family. Many people contributed to make the evening run smoothly. Fine homemade vegan cake from Becci and Alex also added to the celebratory mood. If you haven’t had an opportunity yet, please congratulate Pat, Eric and Mandy on moving deeper into the mystery that is Sangha. last week we focused on contentment and the precept of abstaining from sexual misconduct. This week it is the 4th precept. I undertake to practise the training principle of abstaining from untruthful speech. With truthful communication, I purify my body. My notes can be found here: 4th Precept. Please be aware that March 28th is a Bank Holiday so there is no class at at Fairkytes. I hope you are enjoying the holiday season. I’ve posted a version of the presentation about my trip to Japan. If you want to see any of it again or missed it the first time round it is here on You Tube. Peaceful Vajrapani as featured in the Padmaloka shrine room, painted by Aloka, used with permission. after Alex’s wonderfull talk on Vajrapani I undertook to post some more information on this remarkable figure. I’m sorry it has taken so long. I think the following articles are particularly useful.